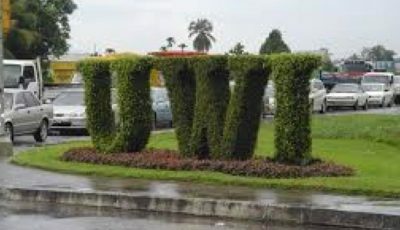 As a young man who spent many years growing up in the Rural Community of Guayaguayare, Mayaro and being the grandson of a former Businessman of the Guaya Community and son of a man who was not only a community activist in Guayaguayare but also Manager of Oil Production for five platforms off the Galeota Point in Mayaro , I became terribly disturbed by the arrogant statements made by PNM Candidate Clarence Rambharat. At a recent cottage meeting held in the Constituency Rambharat told supporters “I left my job in Canada. I haven’t worked since. My time has been dedicated to getting the PNM back into office. I am 8,000 miles away from my wife and kids. If we lose this election, I wash my hands of this country! If we lose, I will not have a Plan B for you…”. If any political scientist or commentator ever became desirous of a selfish political statement ,this one would surely be found in the history books as being one of the most arrogant statements, second to none. Mayaro which is Arawak, is said to mean the place of the maya plant, although the maya plant itself is unknown today. Mayaro came into recorded history in 1690 when Capuchin priests from Catalunia in Spain arrived at Trinidad, at the request of a Spanish governor, to convert the natives to the “Holy Roman Catholic faith.” The ironical thing is that most times when the word “Mayaro” is seen on the map it is as the constituency while the name came about because of the village Mayaro. When in 1849 Governor Lord Harris divided the island into counties and wards he had no idea of what the Mayaro region was like; he could not visit it, for there were no roads that led to the east coast. In fact the whole of the interior of the country was covered with impenetrable forests and the only highway to get to Mayaro was the sea. 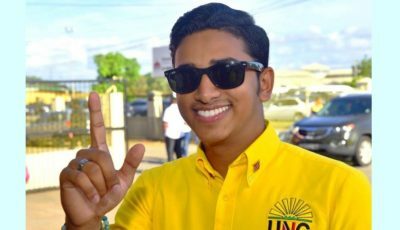 But Lord Harris, inspecting the map and seeing a lone village in the southeast called Mayaro, marked out a county containing it and gave it the name: Mayaro. The question must now be asked,is if a constituency with such a historic past and picturesque outlook along with being associated with most of the production of the nation’s oil and natural gas deserves such an insult ? Globally in elections two types of Candidates emerge ; individuals who are sincerely concerned about development and bettering the standard of living while there are those who emerge and are egoistic and aimed at self service. However even those with the latter interest make an effort to hide their agenda during the campaign by masking themselves through charity events and hearty emotional speeches. 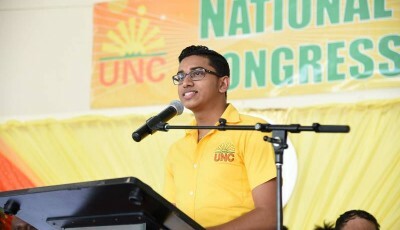 Clarence Rambharat has now produced a new type of Candidate, one that believes that he is the saviour to mankind or at least Mayaro in this instance and that he doesn’t need voters but they need him. When one offers himself to serve it is because of an inert feeling and need to be part of a movement to better the lives of others , to build a community that can change a nation and then the world, while it is also presents an opportunity to become closer to people and feel their struggles and ensure equality is not a word but rather a way of life. Thus it can be seen that to even become a candidate one must have been actively involved in the struggle of working towards a better society. How can one aim to Represent a community or constituency which one has never sought to build ? The statement ” I am 8,000 miles away from my wife and kids.” would have been uttered for sympathy to show his commitment to the constituency, when in fact its simply an over share of information. The real show of commitment is someone who will stand with the people they are offering themselves to serve , regardless of the outcome , such as Winston Gypsy Peters who was defeated in 2002 but stood and served and was subsequently reelected in 2007 and 2010. Another of the principles broken in the erroneous utterances of Rambarath besides humility is that of patriotism. One must remain loyal to ones place of birth at all times however it seems that Clarence only wants what this nation can offer him and not what he can offer his nation as he says “If we lose this election, I wash my hands of this country! ” . So much for asking what you can do for your country as opposed to asking what you country can do for you. Clarence must not be blamed as he is simply a victim of the Peoples Partnership Performance and exhibiting symptoms of a neophyte politician without vision. 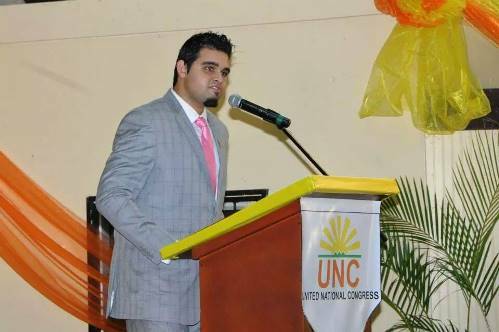 He speaks about not having a Plan B for the people of Mayaro , but does he even have a Plan A? If so is plan A even required ? Under the Peoples Partnership the constituency of Mayaro has seen and experienced sustainable and equitable development like never before. Besides the number of roads that have been repaired, water ways cleared, and employment and commercial opportunity being increased there has also been the major development of the Port of Galeota which once more made way for increased economic and employment activity. 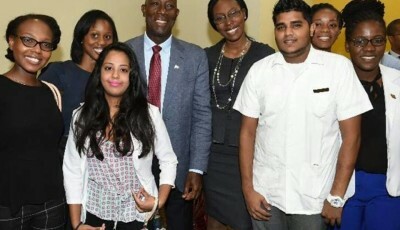 Education opportunities have infiltrated the constituency therefore building the workforce and capacity of Youth. Through the Honourable Fazal Karim Minister of Tertiary Education and Skills training a number of programs have been offered in the technical and vocational field while coupled with the development of the Work Force Assessment Centres a number of previously skilled individuals have become certified and employed. The Ministry of Education continues to upkeep school facilities while even providing new facilities such as the 28 million dollar Guayaguayare Presbyterian Primary School opened last week . 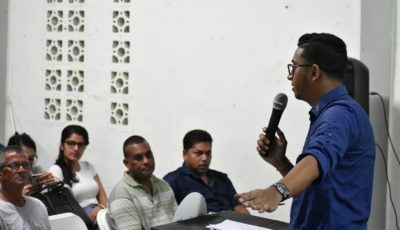 The accomplishments of the Peoples Partnership are much more than the number of votes Rambharat is expected to receive in the election and reflect why the People of Mayaro will return the Peoples Partnership to Government. It seems as though the door has closed on Rambharat who has ambitions of entering Parliament but instead has entered the History Books of being one of the most arrogant and hostile Candidates who has lost an election even before the date has been announced. These qualities are not new as it simply reflects the leadership and modus operandi of the Peoples National Movement.